Rayon is odor free; does not lint; requires no "break-in". Easy to rinse and air dry–inhibits the growth of mold and mildew. Scrub pad attached to headband; allows you to flip the mop over and easily scrub heavily soiled areas. 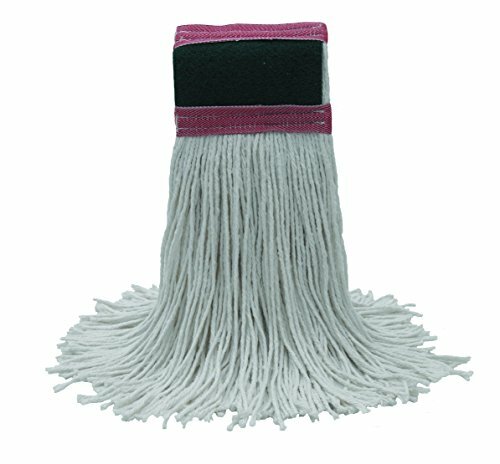 4-ply premium quality rayon cut-end mop; constructed with 4 rows of ''lock stitching''. 1-1/4'' narrow band. Rayon is odor free; does not lint; requires no "break-in"